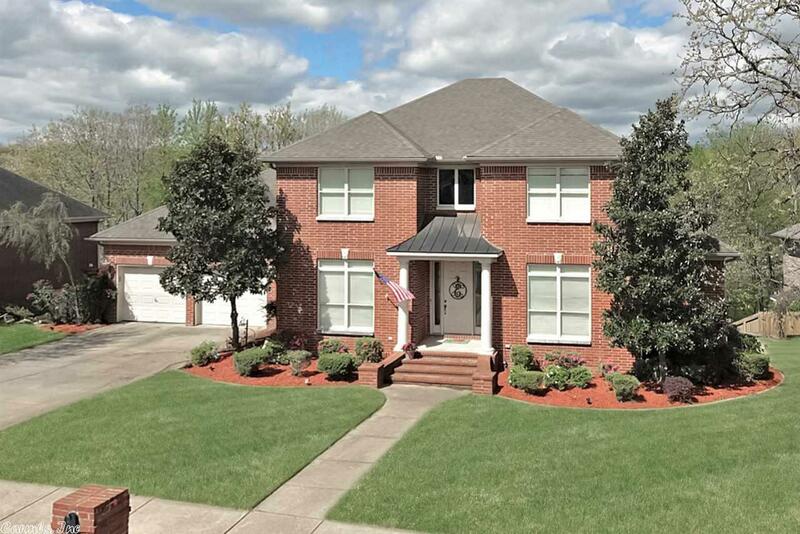 Grand 2 story entrance opens to formal dining & vaulted greatroom that opens to the kitchen. Greatroom has gas log fireplace w/access to screened-in porch overlooking the wooded & private backyard. Large kitchen w/gas range, double ovens, new dishwasher & ice maker. Huge pantry & storage closet (X-mas closet) & laundry. Downstairs w/master & guest bedroom - Upstairs offers 2 more bedrooms, bath and gameroom. 9' ceilings down & crown molding-Great closets. Sq. ft. from assessor, taxes are w/o homestead.